Six different milk thistle potencies and formulations are reviewed to determine which would be most fitting for your liver concerns. The liver is one of our most dynamic, complex and valuable organs. 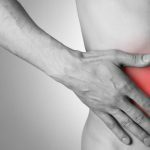 Those who recognize the importance of keeping this organ healthy are likely drawn to milk thistle – an herb with a long record of safety and efficacy in protecting the liver from harm. 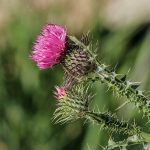 There are many possible reasons someone would seek a milk thistle supplement for his or her liver’s wellness – and just as many potential formulas to choose from. To help differentiate between different milk thistle preparations, the following guide will help those with liver concerns choose the formulation that is most appropriate for them. A plant that has been used medicinally for over 2,000 years, milk thistle is the most commonly suggested herb for helping liver and gallbladder disorders. While the terms milk thistle and silymarin are frequently used interchangeably, there is a difference between the two; silymarin is the flavonoid complex that is extracted from the seeds of milk thistle. As such, silymarin is the therapeutic component of milk thistle. Hundreds of studies have concluded that silymarin (a potent antioxidant) protects liver cells from damage caused by viruses, toxins, alcohol and certain drugs such as acetaminophen. In order to assure consumers they are receiving a potent distillation of milk thistle seeds, reputable manufacturers generally adhere to producing an herb that is standardized to 80 percent silymarin – meaning that 80 percent of the supplement contains silymarin. Silymarin can be broken down even further, into three primary flavonoids: silybin, silydianin and silychristin. 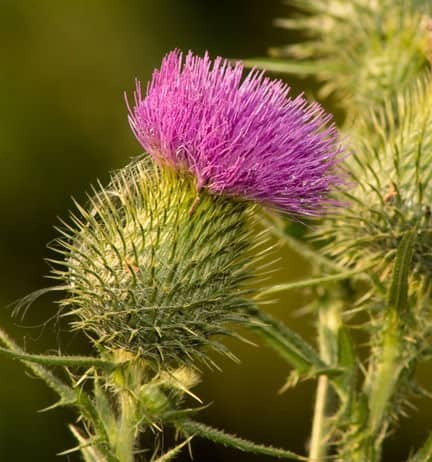 Medical researchers agree that silybin, which comprises approximately 50 percent of silymarin, is responsible for the majority of milk thistle’s liver-protective qualities. Increasing quantities of silymarin and/or silybin have continually demonstrated a correspondingly greater beneficial impact on liver wellness; however, milk thistle’s active ingredients are notoriously hard for the body to absorb. For those wanting the most out of their milk thistle supplement, the phytosome® form is preferred. Overcoming the poor bioavailability of milk thistle, phytosome® technology converts silymarin or silybin to a lipid-compatible molecule which can be absorbed directly by the body’s cells. Studies demonstrate that when taken in a phytosome complex, silymarin or silybin is absorbed up to ten times more readily than standardized milk thistle extract. Milk Thistle 500 MG – Contains 500 mg of silymarin (standardized to 80 percent silymarin) per serving. Silymarin is the name given to a group of flavonoids (silybin, silydianin, and silychristin) that are extracted from the seeds of the milk thistle plant and are responsible for the medical benefits of the milk thistle plant. Milk Thistle 500 MG complies with the STRICT European Union Standards of purity and potency. This is a great choice for a person on a budget looking for a good and generous amount of standardized milk thistle. Milk Thistle with Turmeric & Artichoke – A baseline formula, Milk Thistle with Turmeric & Artichoke contains 175 mg of silymarin (standardized to 80 percent silymarin) per serving. In addition, it contains turmeric root and artichoke extract, herbs known for reducing liver inflammation and stimulating the flow of bile. This combination is ideal for someone with a relatively healthy liver who wants to protect his or her organ from lipids clogging up the liver and causing fat accumulation. 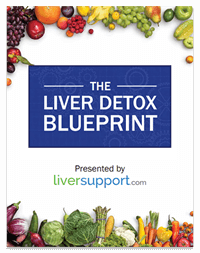 Liver Support & Detox – Also containing silymarin standardized to 80 percent, Liver Support & Detox is a stronger supplement with 350 mg of silymarin per serving. In addition, it contains a well-studied collection of vitamins and herbs that support the liver’s detoxification abilities. It even contains 400 mg of N-Acetyl Cysteine per serving, an amino acid administered in the emergency room to protect against liver failure from acute poisoning with acetaminophen-containing pain-relieving drugs. This formula is ideal for someone who has good liver function, but may be concerned with his or her liver’s ability to process toxins effectively. Clinical LiverSupport – By taking the commitment to liver protection several steps further, Clinical LiverSupport combines milk thistle in its most absorbable form with a potent combination of nutraceuticals that aid liver health. Clinical LiverSupport contains 240 mg of silymarin phytosome and 500 mg of N-Acetyl Cysteine per serving – a pairing that offers unprecedented liver cell protection. In addition, this formula has a substantial dosage of vitamins and herbs that protect the liver from a wide variety of threats. It contains antioxidants (like curcumin, Vitamin E and green tea) to battle liver cell damage, natural anti-inflammatories (like blueberry leaf, dandelion and phospholipids) to minimize liver cell damage, herbs that aid detoxification (like dandelion and beet leaf), and herbs to prevent fat from clogging up the liver (like artichoke, chicory and turmeric). This formula is ideal for someone at risk of developing a liver problem, who wants to take a multi-pronged approach toward preventing liver cell injury. Maximum Milk Thistle® – Containing 240 mg of silybin phytosome, the most absorbable form of the most biologically active constituent of milk thistle, Maximum Milk Thistle provides a very high degree of liver protection. For those with a documented chronic liver problem that is under control who want to maintain the integrity of their liver cells, Maximum Milk Thistle is ideal for preventing inflammatory and scarring episodes. 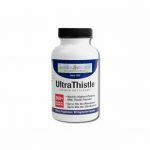 UltraThistle® – The ultimate liver protector, UltraThistle contains the highest dosage (360 mg) of the most absorbable, most biologically active form of milk thistle, silybin phytosome. This supplement is unparalleled in its potency to protect the liver from harm. UltraThistle is ideal for people who have a chronic liver problem that is not under control – for those who are most at risk for liver disease progression. Without question, milk thistle wins the liver protection contest. Even though silybin phytosome is the best bet for those in the advanced stages of liver illness, it is not the only way to protect the liver. Those who are not inundated with a severely damaged liver may be able to reap liver health benefits from less potent milk thistle formulations. Individuals who want to protect their liver cells from damage, quell liver inflammation and ease stress on their liver can combine Clinical LiverSupport with silybin phytosome (either Maximum Milk Thistle or Ultrathistle) for a supreme level of liver protection. The different silymarin/silybin potencies and herbal combinations may require a little investigation, but doing so can help determine which milk thistle supplement is right for you and your liver. http://www.lef.org/magazine/mag2010/may2010_N-Acetyl-Cysteine_01.htm, N-Acetyl Cysteine, Julius Goepp, MD, Retrieved August 15, 2013, Life Extension, 2013.
https://www.liversupport.com/maximum-milk-thistle-vs-ultrathistle/, UltraThistle vs. 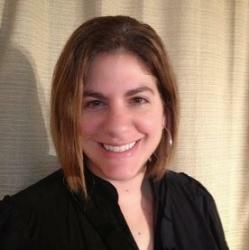 Maximum Milk Thistle, Nicole Cutler, L.Ac., Retrieved August 15, 2013, Natural Wellness, 2013.
http://www.mayoclinic.com/health/silymarin/NS_patient-milkthistle, Milk Thistle (Silybum marianum), Retrieved August 15, 2013, Mayo Foundation for Medical Education and Research, 2013.